This quote of his has profoundly impacted not only my research and artworks, but my foundation for thinking about how to engage with the material known as the night sky. 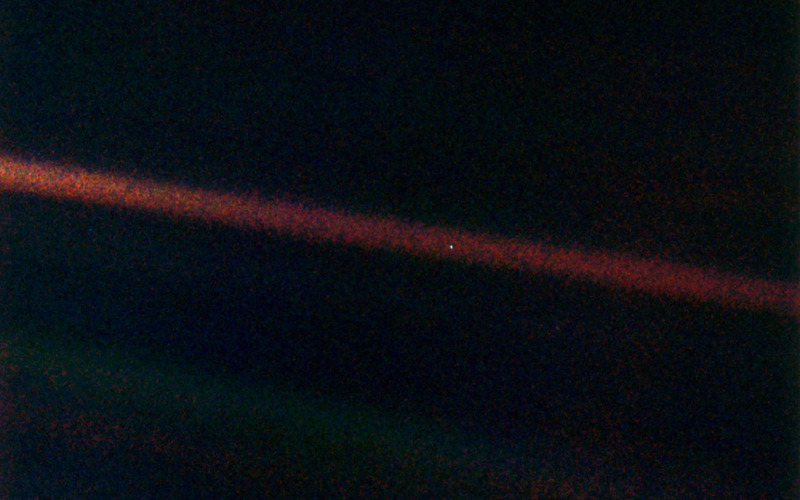 The featured installation is a recreation of the image Pale Blue Dot, from which the quote is connected to. The model kit shown is a 1/48 scale of the Voyager space craft itself, focused back on the pale blue dot on the wall in the gallery. Rock salt embedded in the black paint of the wall glitter and glimmer as the viewers angle changes. Red and yellow lights streak through the image plane, recreating the direct waves of sunlight seen in the original image.